Washington (Sen. Heitkamp) – U.S. 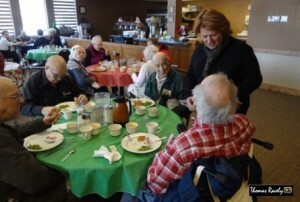 Senator Heidi Heitkamp has announced that her staff will hold a “Heidi Helps” in Jamestown on Tues July 10 at 11:00 a.m. at the Jamestown City Hall. During the mobile office sessions, Heitkamp’s staffers will travel to different communities across the state to help North Dakotans who may need assistance or guidance in dealing with a federal issue. A member of Heitkamp’s staff will be available to assist North Dakotans with questions and casework, and to provide information about internship opportunities and service academy nominations. No appointments are necessary, however to help prepare staff please feel free to RSVP to your local ‘Heidi Helps’ session through Eventbrite. Heitkamp’s staff holds “Heidi Helps” sessions to better serve North Dakotans living farther away from her five state offices in Bismarck, Dickinson, Fargo, Grand Forks, and Minot. The sessions are held in temporary locations for a few hours to help her staff be as accessible as possible to communities all across North Dakota. All information provided is private and confidential. For reporters interested in covering these sessions, please reach out to Heitkamp’s press team for assistance at (202) 224-8898. No audio or video recording is allowed while staff meets with North Dakotans discussing private issues of concern.